The course at Sunset Grove was designed by famed Scottish born golf architect Donald Ross (1872-1948). 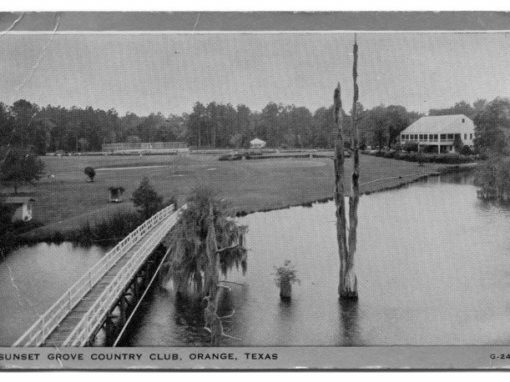 (donaldrosssociety.org) Ross designed over 400 courses in the US, but only 3 in Texas. Mr. Ross’s most famous course is Pinehurst 2 in North Carolina. 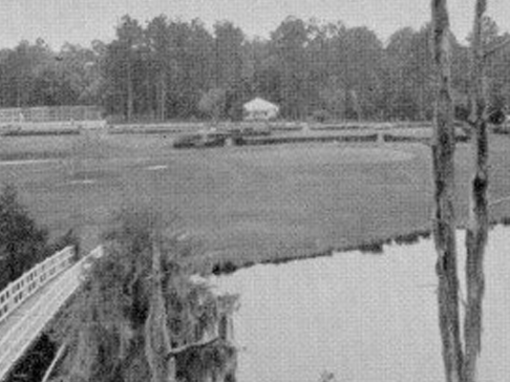 Mr. Ross’s goal for each course was: to make each golf hole present a different problem, to arrange the course so that every stroke must be made with a full concentration and attention necessary to good golf and to build each hole in such a manner that it wastes none of the ground at one’s disposal and takes advantage of every possibility. The story of the building of the course is worth re-telling. 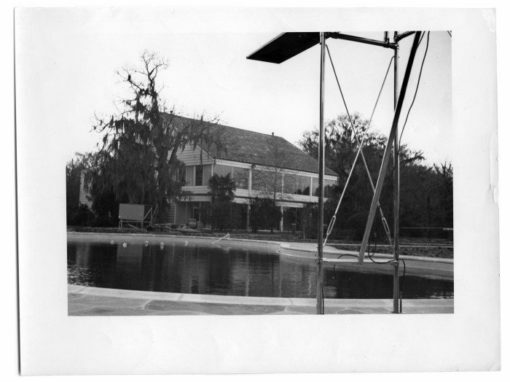 The two oil and timber magnates in early Orange were Edgar Brown and W. H. Lutcher Stark. Mr. Brown owned the only golf course. Due to a disagreement, Mr. Stark was banned from playing on Mr. Brown’s golf course. 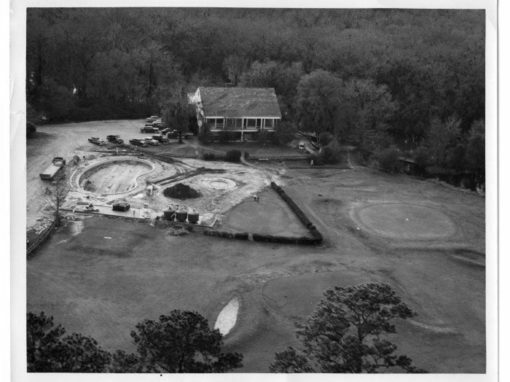 To remedy the problem Mr. Stark contacted Donald Ross in 1923 to design and build a golf course. 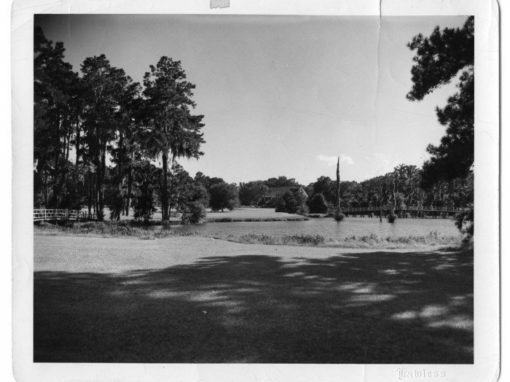 The last nine holes were completed in 1926, for a total cost of $750,000. (Over $9,000,000 in 2007 dollars). A rustic club house was built in 1927. 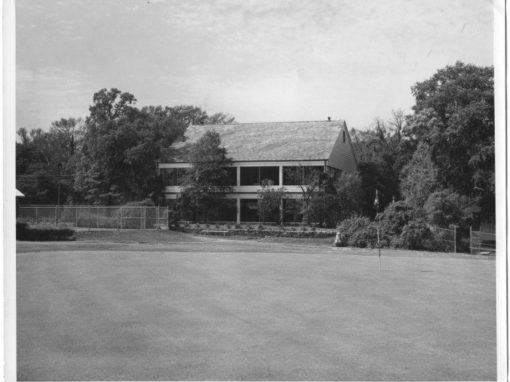 The club house was destroyed by fire in 1959. Another, more modern, club house took its place. 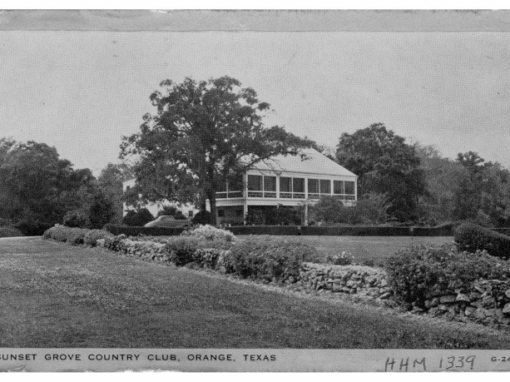 In 2005 hurricane Rita badly damaged the newer club house. 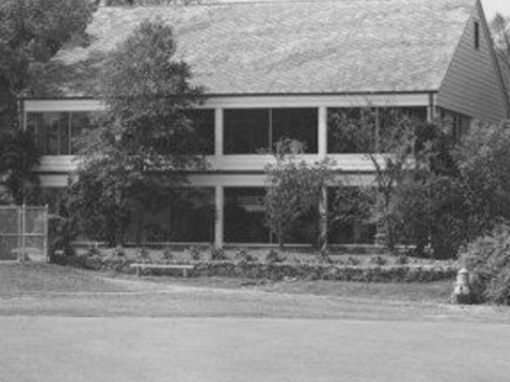 It was remodeled and refurbished to give us the club house that we have today. The wooden pro shop was damaged beyond repair. A new pro shop stands in its place. The course has 400 fewer trees than it had before Rita. 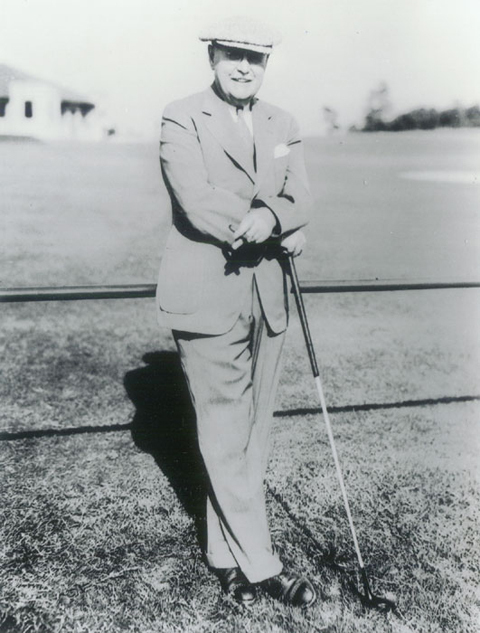 After the death of W. H. Lutcher Stark in 1965, the course and all facilities were sold to the membership. Today, it is a non-profit corporation owned by its shareholders. Today the course is the only Donald Ross course left in Texas that still uses the original design. The original Donald Ross plans are framed and hang in the Club House. The only changes that have been made are the addition of cart paths and a watering system.